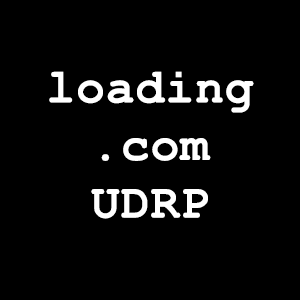 A Spanish company with a figurative mark for “LOADING” filed a UDRP for the aged domain Loading.com. Registered in 1998, the domain is owned by Mrs. Jello, LLC – the estate of late domain investor Igal Lichtman. The domain was acquired in 2009. Javier Narvaez Segura, Grupo Loading Systems S.L. of Orihuela, Spain claimed that the domain violated their trademark. “Respondent considers that the Disputed Domain Name is neither identical nor confusingly similar to Complainant’s trademark, and that Complainant’s trademark lacks distinctiveness. Respondent considers it has legitimate interests in the Disputed Domain Name, arguing that, long prior to the dispute, Respondent has used the domain name for pay-per-click monetization in connection with the dictionary meaning of the word “loading” for many years. Nowhere in the Complaint does Complainant show that Respondent has used the domain name for any purpose relating to the goods or services for which Complainant claims to trade. A three member panel at the WIPO, found no reason to disagree with the Respondent, and ordered Loading.com to remain with Mrs. Jello, LLC. For the full text of the UDRP, click here. Too bad Mrs. Jello has to keep defending from fishing expeditions. Until there is a REAL penalty for RDNH this nonsense will continue. Good work on another domain by Mr. Berryhill!